Mobile fundraising is a valuable tool that nonprofits can use to improve the performance of campaigns of all types. A mobile giving initiative can include mobile-focused strategies such as text-to-give, and also incorporate mobile tactics into broader campaigns that feature direct mail and other more traditional elements. While there are many ways to use mobile giving, before you launch an initiative, you’ll want to first determine what strategies would work well for your specific organization and your audience. Here’s what to consider when planning your mobile giving program. Who Will Be in Charge of the Mobile Giving Initiative? Creating a mobile giving strategy takes time and attention. You’ll need a designated staff member who can lead the charge; exploring opportunities, gathering input from other team members, and crafting plans. Depending on the size of your organization, you may want a team of staff members dedicated to mobile giving. Your budget will dictate how robust your initiative is and what tactics you can implement. Some mobile giving tactics (like mobile-optimized email) will require next to nothing extra out of your budget, but others (like retargeted ads), could cost a significant amount. When considering how much you want to spend on mobile fundraising, take a look at how your marketing dollars are currently being spent. Are any efforts not generating the results you were expecting? Could you reallocate money from efforts that aren’t productive? What Are Your Goals for the Initiative? What are you hoping to accomplish with your mobile fundraising initiative? Are there specific actions you want supporters to take? Depending on your budget, you may decide to incorporate mobile into all of your campaigns, year-round. Or you may use it only for particular projects and events, or start with one tactic, such as text-to-give, and expand from there. When deciding your goals, start by considering what your donors are already using, and what would make giving easier and more convenient for them. Do they like texting or do they prefer email? Do they browse the internet from their mobile devices, or are they primarily using dedicated apps? Put yourself in the shoes of your donors before making any decisions on specific tactics. Setting a timeline with target dates for benchmarks will help keep you on track and ensure your initiative launches in a timely manner. Be sure to get input from team members to keep deadlines realistic, while also emphasizing that the initiative is a priority. This organization-wide commitment will help increase the success of your mobile giving initiatives, and boost revenue in the process. How Will You Track and Measure Results? Tracking data and campaign response is essential. Without it, you won’t know what worked and what didn’t. Tracking your data tells you what to improve, what to continue, and what kind of ROI you’re getting from the marketing dollars you’re spending. Consider how you’ll integrate your campaigns with your donor management system so you can utilize your data, and ensure everything is trackable and measurable. 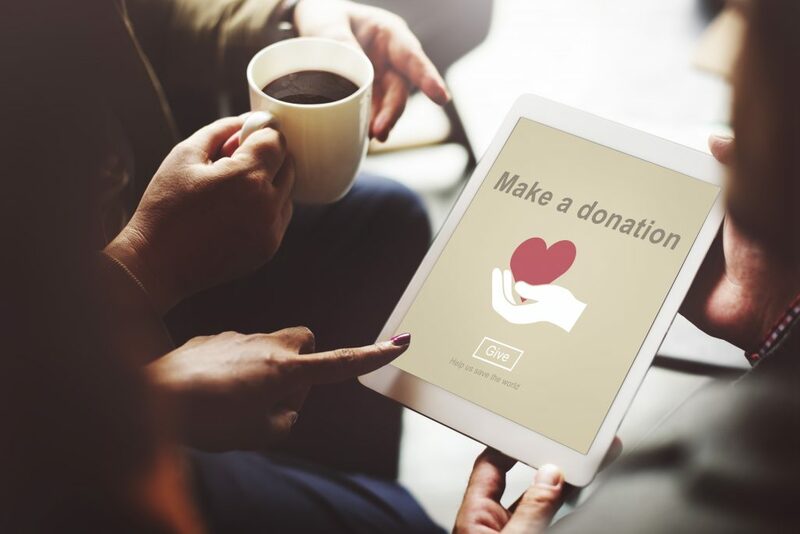 Building a strong foundation for your mobile fundraising initiative will not only make rollout smoother for your team, it will also improve your results. You can be confident that you’re taking the best path for your organization and your donors. Download “The Ultimate Guide to Mobile Giving” to learn more about launching your own mobile giving initiative.